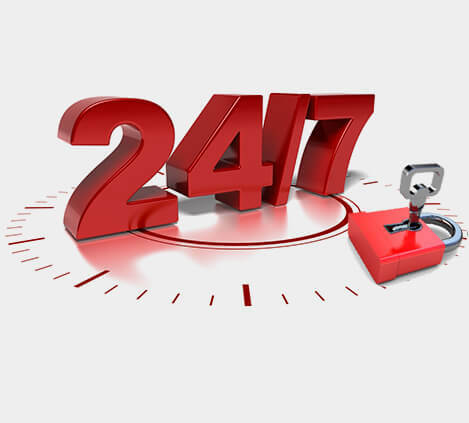 Are you in need of 24 hour emergency locksmith services? Quite often, you will find yourself in a situation where you have misplaced or lost the keys to your car, home, or office at a time that is extremely inconvenient. This may occur on a weekend or in the early morning hours after a night out on the town. In the event of a lockout, an emergency locksmith, such as Solid Lock Locksmith, will offer “after hours” services and provide the solution you require. We have mobile technicians who are available 24 hours a day, 365 days a year to service you in the event of such an emergency. Our locksmiths have the tools and expertise to help you gain entry into almost any vehicle, home, or office at any hour of the day or night. Our 24 hour lockmith service will be far more convenient than disturbing the sleep and asking the assistance of a friend or relative in the middle of the night or wee hours of the morning. Our technicians can provide emergency locksmith assistance anywhere in the Melbourne area within one hour of your call. There are a number of scenarios that can cause you to become locked out of your home, car, or office. In fact, a lock malfunction or a key break in the mechanism of the lock are highly likely. Solid Lock Locksmith has a long track record for providing fast, reliable emergency locksmith services 24 hours a day, 7 days a week. Whether it’s the traditional lock and key system or an electronic security device, our 24/7 emergency locksmiths are able to handle the task expertly and efficiently. With Solid Lock Locksmith, rest assured that you are dealing with a team of professional locksmiths with years of experience in emergency, residential, automotive, and business locksmith services. Our aim is to unlock your doors in a nondestructive manner, and then check, repair or replace broken locks so you can have peace of mind knowing your property, premises and safety are secure. So when you find yourself locked out of your home, office or car, don’t panic. Our team of professional technicians will be there in no time to give you prompt, reliable 24/7 emergency locksmith services.